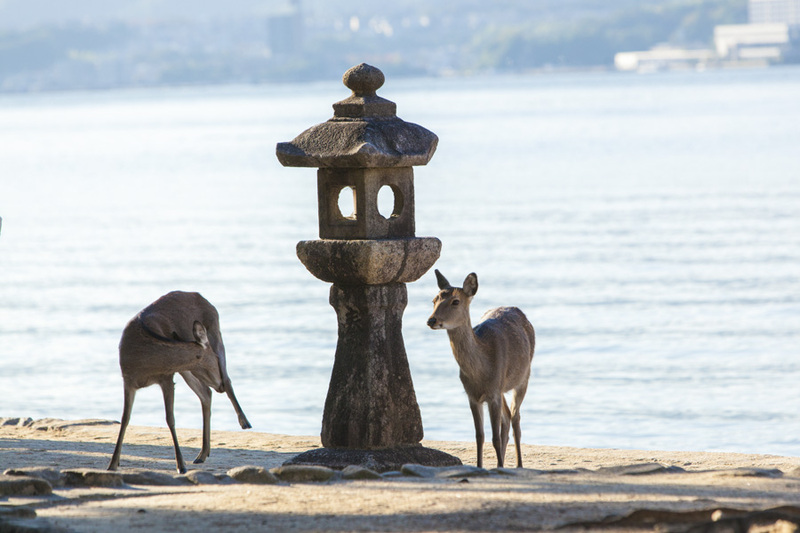 Being situated at the northernmost point of the Seto Inland Sea, and with ease of access from Tokyo (three hours by Shinkansen) and Osaka (one hour by local train), makes Himeji a logical starting point for exploring the Setouchi region. 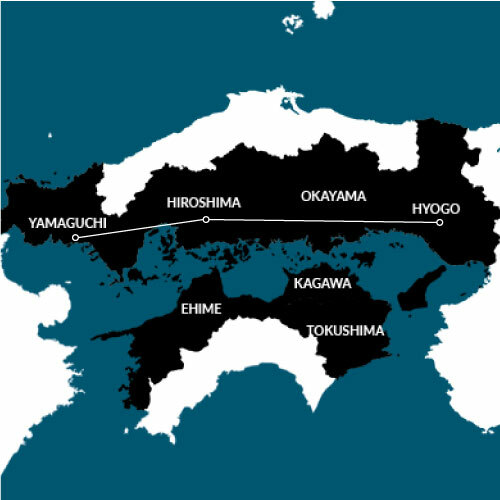 Shin Yamaguchi is only one hour on the Shinkansen, or a couple of hours by road or local train, from the vibrant city of Fukuoka, the gateway to Japan’s southernmost main island Kyushu. The Setouchi region, replete with places of great historical and cultural value, contains no less than four UNESCO World Heritage sites, and a wealth of equally fascinating yet lesser-known spots nearby. In the three day journey we have mapped out here, you’ll encounter a magnificent castle, an iconic shrine, a timeless memorial for peace, and one of the most significant birthplaces of modern Japan. The historical and cultural richness of these sites will stimulate and inspire, but the journey itself holds just as many unplanned delights and discoveries that will have you wanting to dig even further into this fascinating part of Japan. Nicknamed the White Heron because of its stark white walls rising steeply into the sky, Himeji CastleHimeji Castle is not only the largest and most frequently visited castle in Japan, it is the closest existing approximation of what a castle complex would have looked like in feudal times. The castle dates back to 1333, and periodic expansions have resulted in a network of 83 buildings that simultaneously give an insight into castle life and a crash course on defensive architecture. 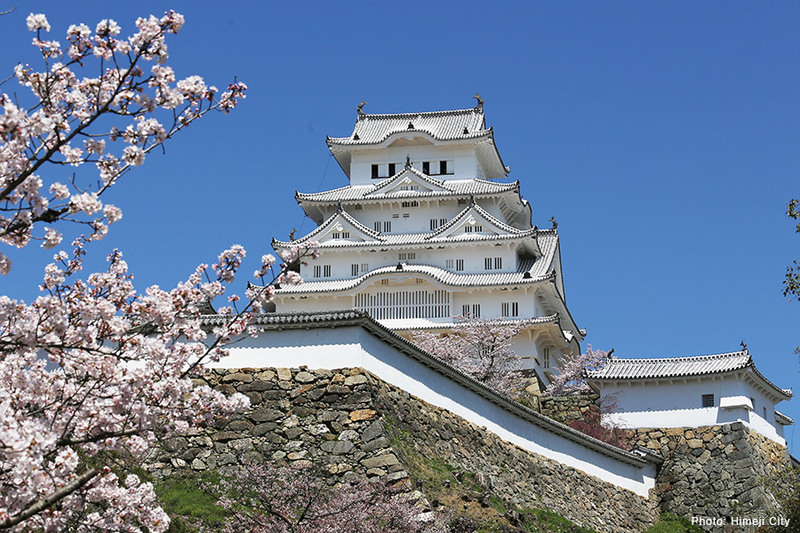 Himeji Castle’s claim as one of the country’s most iconic pieces of architecture was confirmed with World Cultural Heritage status, one of the first places in Japan to receive this recognition. Just next door is Kokoen, a wonderfully compact collection of nine different styles of traditional Japanese garden. 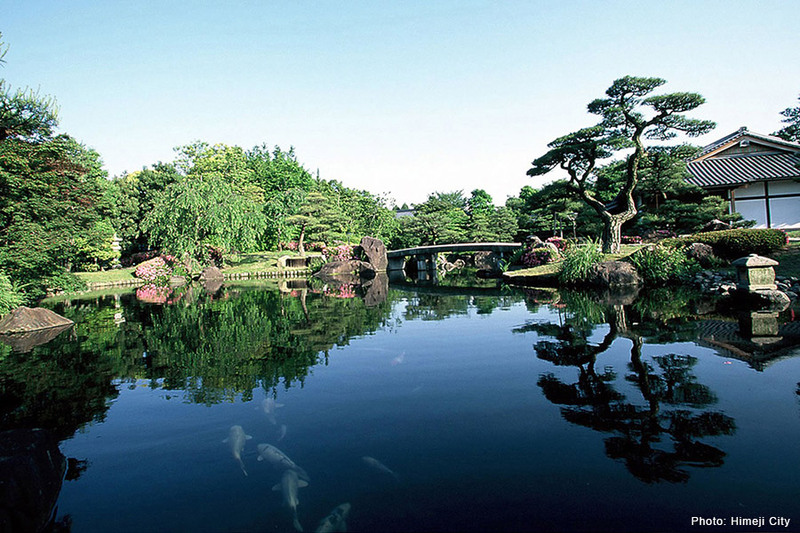 Designed to showcase the manicured beauty of Japan’s relationship with nature in all four season, a stroll through the quiet gardens provides a visual feast, one well complemented by a visit to the pond-side Tea House for refreshments. The image of massive vermillion gates rising out of calm sea waters has become synonymous with Japan. This gate serves as the entrance to Itsukushima Shrine on the island of Miyajima, one of the most storied and revered shrines in all Japan. Undoubtedly, this UNESCO World Heritage Site should be on the itinerary for any visitor to the country. Built on a tidal flat, the water rises to greet the floorboards, giving the entire shrine structure the appearance of floating atop the shimmering sea. Contrastingly, low tide presents the opportunity to walk onto the seabed for a close-up view of the famous torii gate. 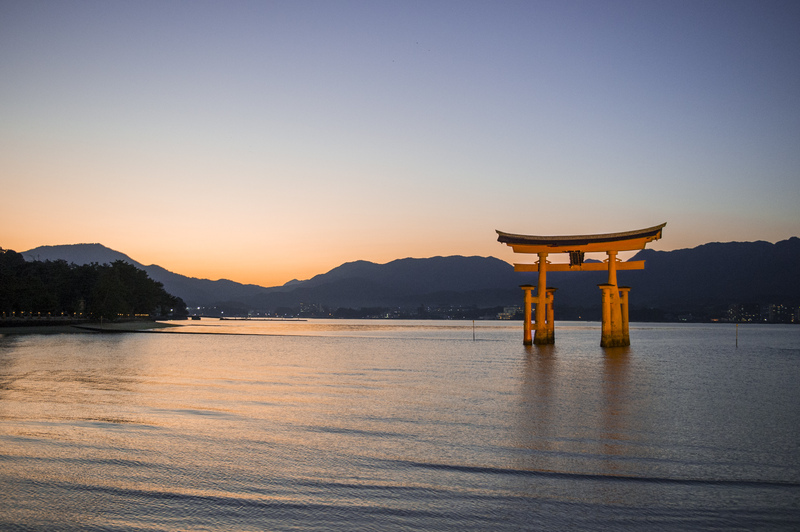 Itsukushima Shrine is not only of great historical significance, but is also a fully-functioning Shinto shrine allowing you to observe the daily practices of Shinto worship, and maybe even the chance to see a traditional Japanese wedding ceremony. And if a little exercise fits into your schedule, a hike up Mt. Misen offers yet further discoveries still, including an opportunity to drink water heated by an eternal flame that’s been burning for more than 1200 years. Nestled gently into the picturesque natural surroundings at the foot of Mt. 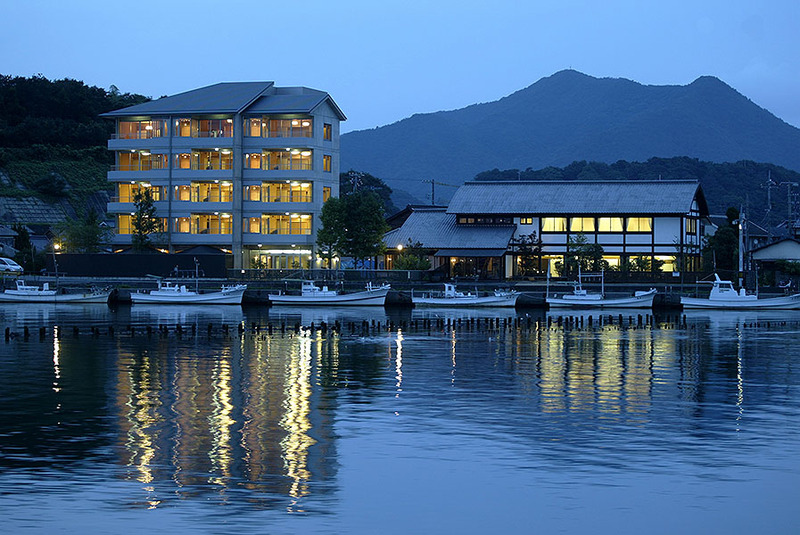 Misen, and ideally situated close to the Itsukushima Shrine, Iwaso Inn is one of the most elegant places imaginable to rest after a day exploring the many attractions of Miyajima Island. 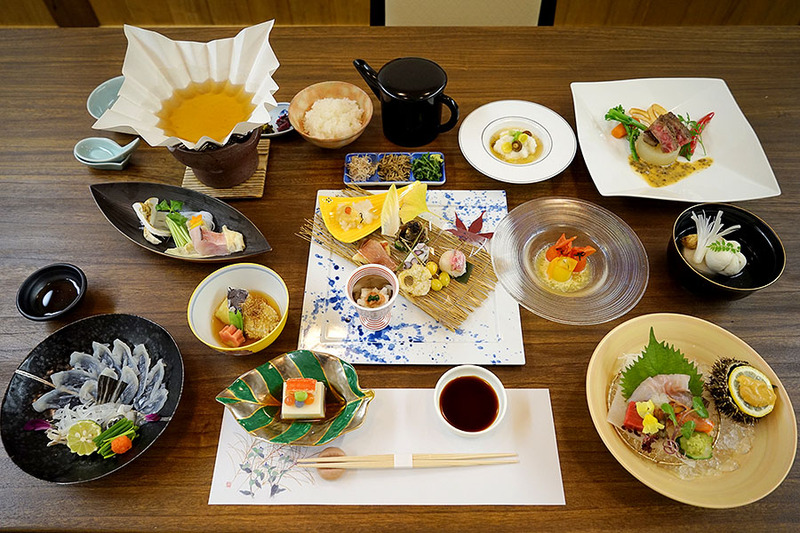 Established in 1854, just as Japan was entering into the modern world, the main building exudes old-world charm and has a relaxed and soothing ambience, perfectly complemented by discrete modern facilities and exceptional cuisine. Strolling down to the water’s edge in the quiet of night to take in the famous torii gate’s reflection on the water is truly a sight to behold. A visit to Hiroshima offers the chance to see two World Heritage Sites in very close proximity, and there is no better way to travel between these highlights than a relaxing boat trip. In only 45 minutes you can travel directly from Miyajima Island to the Atomic Bomb Dome in Hiroshima Peace Memorial Park. Not only is this the fastest and most efficient way to cover the distance between both sites, the boat journey itself is pleasurable and allows you to take in Hiroshima’s river scenery, giving you a perspective often missed when traveling by road or rail. 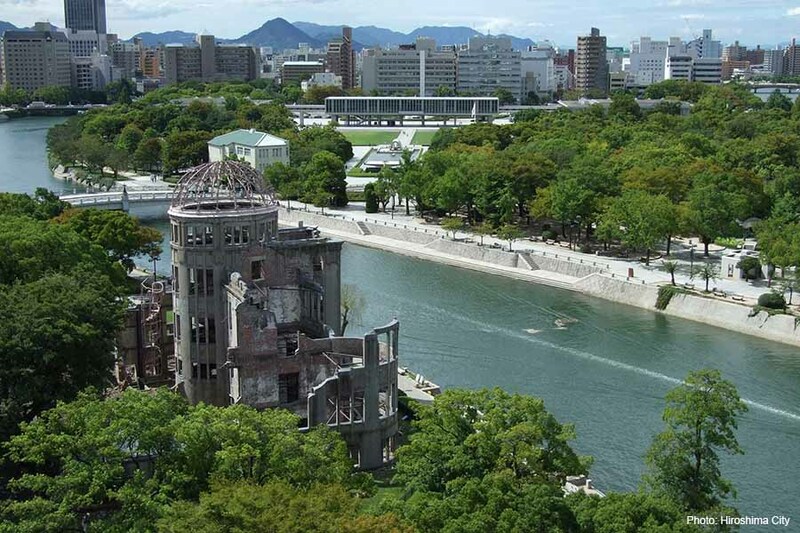 Hiroshima is universally known as the site of the world’s first atomic bombing on the 6th of August, 1945. 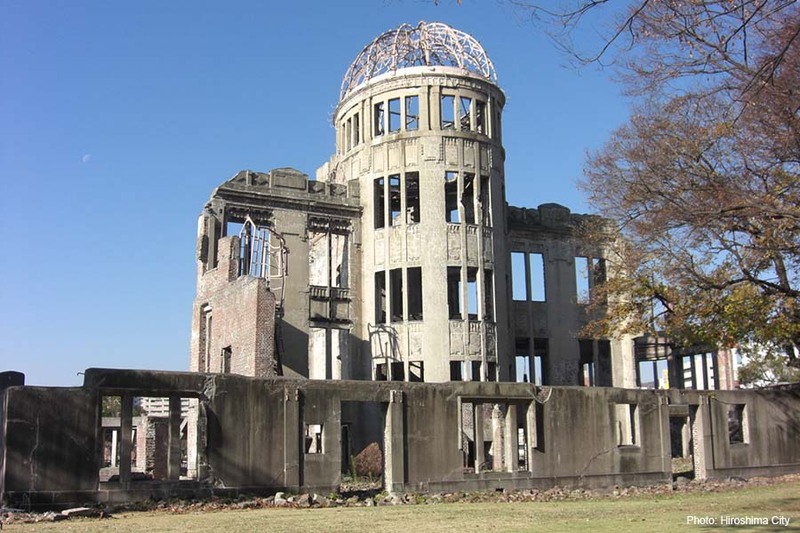 The city of Hiroshima stands as a once again thriving and energetic place, but the terrible cost of war is not to be forgotten, and the Peace Memorial Park, Peace Memorial Museum, and Atomic Bomb Dome are a permanent reminder of the terrible consequences of conflict in the age of nuclear weapons. 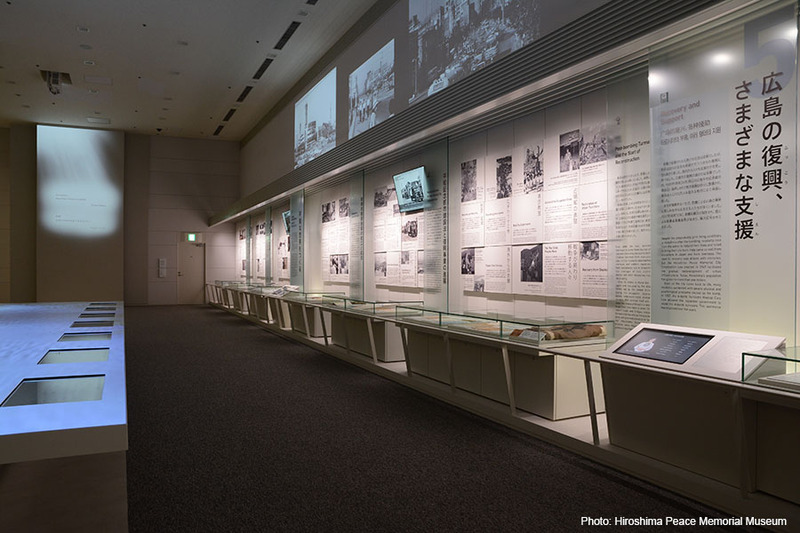 It is a place not only for the residents of Hiroshima, nor even Japan, but a place for all to come and pay respects, and offer their hopes for a world without the tragedy of war. Located just one minute from Hiroshima Station, the Sheraton Grand Hiroshima Hotel is a blessing for travelers that want both convenience and luxury right in the heart of the city. One of the best appointed and equipped of all the Sheratons in Japan, your room will be your sanctuary, a place to unwind and rejuvenate, readying yourself to discover Hiroshima. Take physical indulgence to another level by basking in the bright open spaces of “Shine Spa,” or maybe a visit to the well-equipped gym is what you are after to awaken the body. The 7th floor Miyabi Restaurant offers excellent local seafood cuisine, superb wagyu beef cooked before your eyes, and an impressive selection of local Sake and fine wines. Whether you are seeking a nightcap, or elegant drinks while taking in the city’s night lights, the intimate surrounds of the Miyabi Bar will not disappoint. 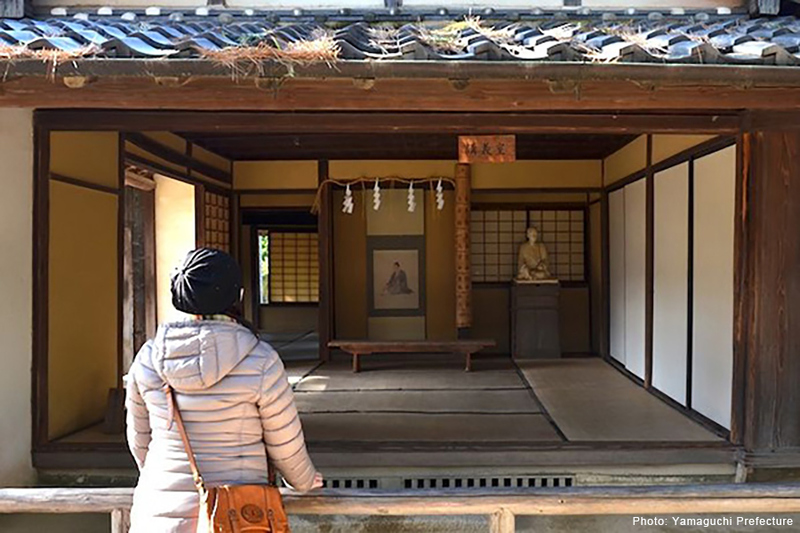 An hour bus ride from the Shinkansen train station in Yamaguchi brings you to one of Japan’s lesser known World World Heritage Sites in Hagi, on the Japan Sea coast of Yamaguchi Prefecture. The lower profile, however, should not be interpreted as being a site of lesser importance. In the middle of the nineteenth century the town of Hagi played a critical role in the formation of modern Japan, being the birthplace of many famous modernizers, and the first foothold for industries that Japan would rapidly master. Hagi is home to five sites in the multi-site UNESCO World Heritage Site for Japan’s Meiji Industrial Revolution, covering education, smelting works, iron works, a shipyard, and the well-preserved castle town in its entirety. 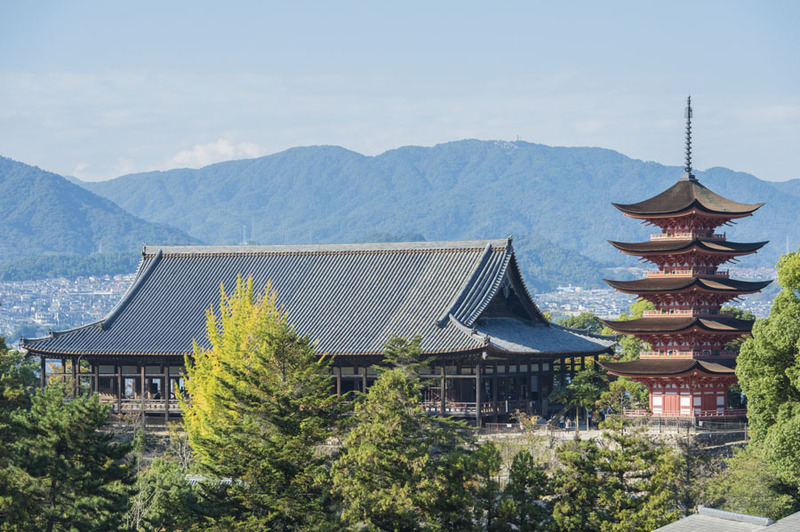 Visiting these diverse historical sites will deepen your understanding of what lies behind Japan’s emergence as one of the most developed and modern countries in the world. 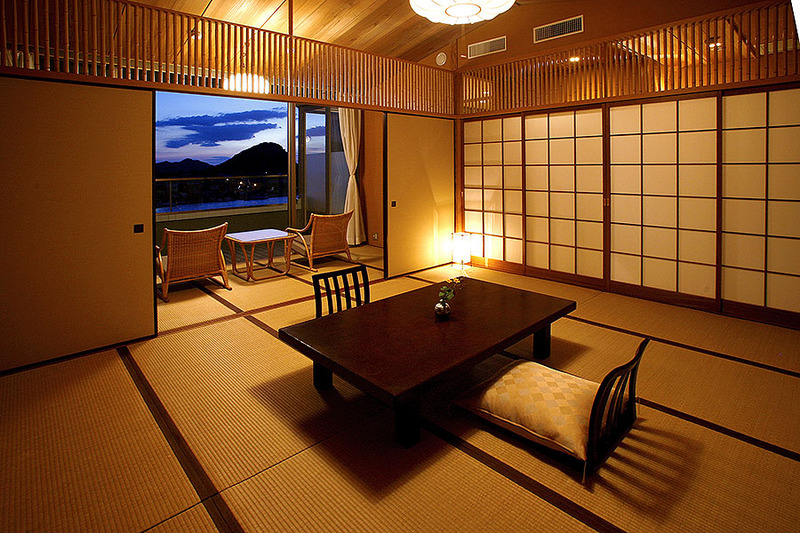 Renowned for its superb view of the setting sun sinking into the Sea of Japan, Hagihakkei Ganjima Besso, situated at the mouth of the Matsumoto River, features all the creature comforts you would expect from a top class ryokan. Hagi is famed for its high quality local Sake, readily available, and a perfect match for the French-inspired full-course Kaiseki banquet served in the comfort of your room — accompanied of course by a sea view. 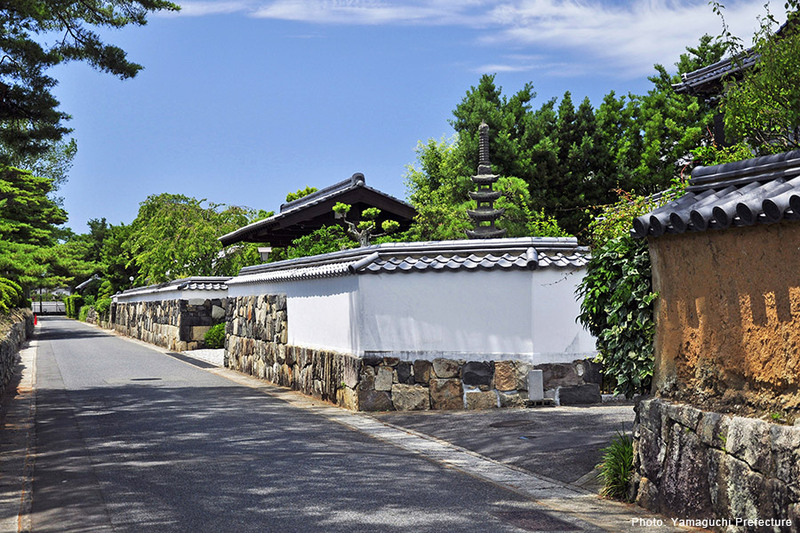 Close to the town center, transport and historic sites lie close at hand, making Hagihakkei Ganjima Besso the ideal place to relax after a full day taking in the sites of Hagi.